Its that time of year again . 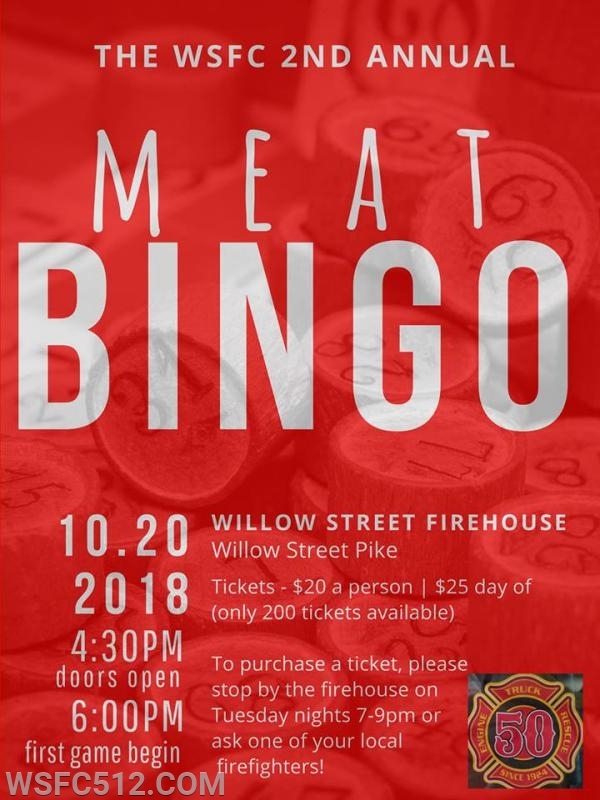 We had holding our 2nd meat bingo on October 20th . Last year we sold out and hope to do the same this year. Tickets are currently on sale and can be picked up Tuesday Nights at the firehouse starting at 7pm . If you have any question or would like to donate a gift basket or prize please email us at info@wsfc512.com and someone will be in contact with you.